A new knitting or crochet project may involve acquiring new yarn - sometimes even that isn't necessary - but I usually have everything else needed. Lots of knitting needles, crochet hooks, notions, you name it. Not so with sewing. I have a sewing machine, pins and thread in a few colours and that's about it. Living in a village with only a few haberdashery supplies in the post office, there's not much opportunity for spontaneous crafting if you don't have a 'stash'. I need to order online or make a special trip somewhere. (Did I ever mention how I hate driving/parking/shopping?) So after sewing my first dress and realising that I really didn't have many tools, I've been 'gathering' for my next few projects. With things starting to come together, I'm planning to spend my last afternoon of the school term (in other words, the last time I'll be alone for the foreseeable future) cutting out the fabric for my next garment. 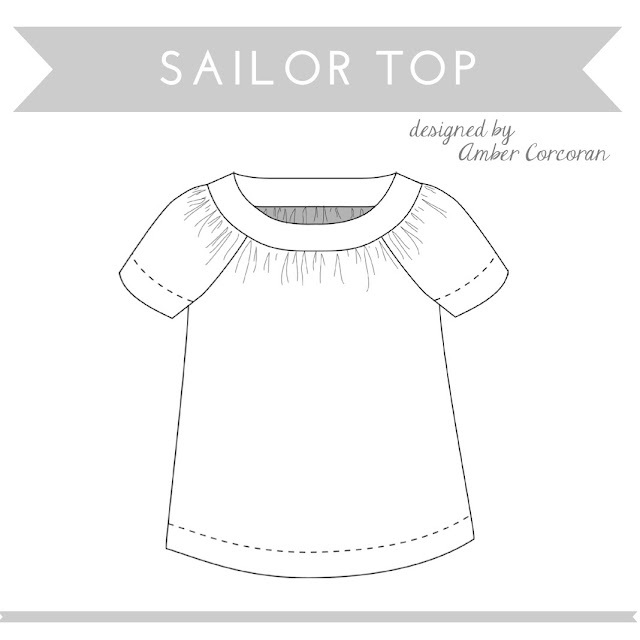 It's this simple Sailor Top from Fancy Tiger Crafts on Creativebug which should work well in this light 100% cotton fabric. It's a cute pattern and beginner-friendly - I've already watched the video tutorial and printed the pattern so I'm ready to go. Wish me luck - I'm still a bit anxious about the irreversible nature of cutting fabric and must get over it! That top looks lovely, can't wait to see the end result. Always remember,, measure twice and cut once,,! 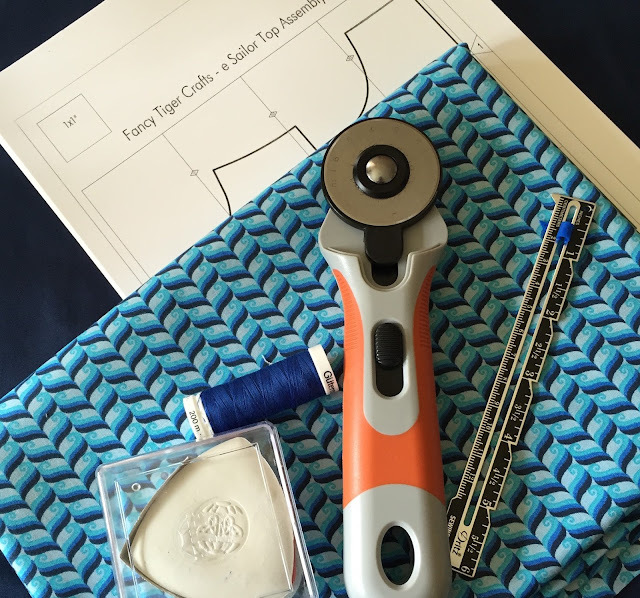 I was terrified of cutting fabric when I first started sewing. But my saving grace was starting on small projects so less fabric wastage. At least you have a success under your belt, which is such a positive feeling.